In their book Write Your Business Plan, the staff of Entrepreneur Media offer an in-depth understanding of what’s essential to any business plan, what’s appropriate for your venture, and what it takes to ensure success. In this edited excerpt, the authors offer some quick-hitting tips that can help you create an effective PowerPoint presentation for your business plan. Creating a PowerPoint presentation, or deck, for your business plan is a quick, to-the-point means of revealing your best selling points to those reviewing it, while still sending over your more detailed plan. The question is, how do you organize and minimize the breadth of a business plan into a short PowerPoint presentation? First, it’s recommended that you use the 10–20–30 rule: 10 slides, 20 minutes and a minimum 30-point font. 1. 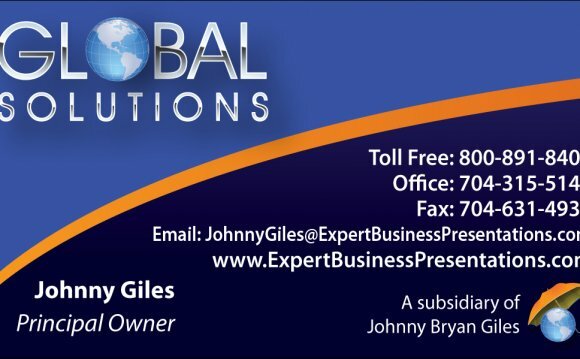 Your first slide is your title slide, which provides the name of the business, your name, title and contact information, plus a slogan if you have one. During the presentation, you can read the slide and add in a sentence that describes what it is you do. 2. The next slide should introduce a problem that persists and is relatable to your target market. Statistics can help you support your comments, but cite only a couple at best. You want the audience to relate to the problem or at least understand how it affects others. 3. The third slide should get to your solution. Briefly describe in simple terms how your business has figured out how to alleviate the problem you mentioned in slide 2. Make sure the audience understands that you have a unique approach. You might also add a few words to support your overall value proposition. 4. Next, you want to explain how you'll make money. What are your revenue sources? Who are your customers? What is your pricing structure? Then talk briefly about how you expect to profit. 5. Now present a little more detail on your operating plan. How does it all work? Self -service? Kiosks? Personal service? From buying the goods to marketing them to sales and shipping, give your audience a short summary of how it all works. Include a little technology—remember, “a little!” This is where you may need a second, visual slide to show how it all works. 6. Now it’s time to present your marketing plan in a few short words. After all, if you’re going to create dynamic advertising and promotional campaigns, what better way to start than briefly explaining how you plan to market the business? Give some specifics, rather than saying “on the Internet” or “on TV.” Let your audience know you have a plan for marketing and can keep it within a reasonable budget.